A little something that was out of our itinerary. 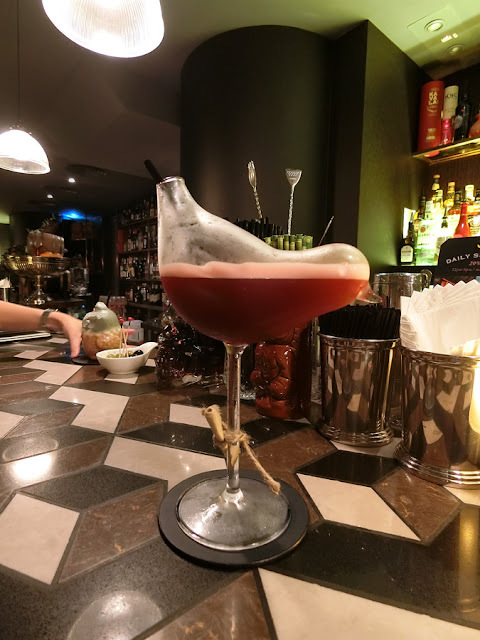 We had some time after dinner before our next reservation so we decided to pop into The Envoy where it's not listed in any particular "top" or "best" list. It's located in Pottinger Hotel which is walking distance to other bars. 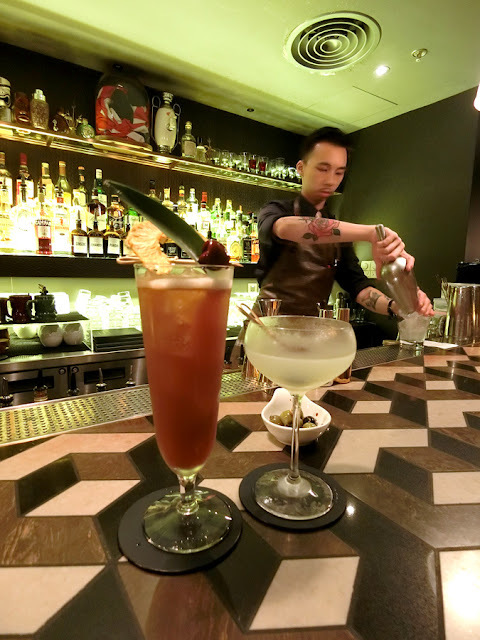 The presentation of the drinks are fairly simple as they focus in the quality. The menu appears to be like a storybook where each drink comes with a little executive summary. I remember this of all - the Dinosaur where they use Milo and it totally reminds me of Mamak style milo except this is the only for above 18 version! 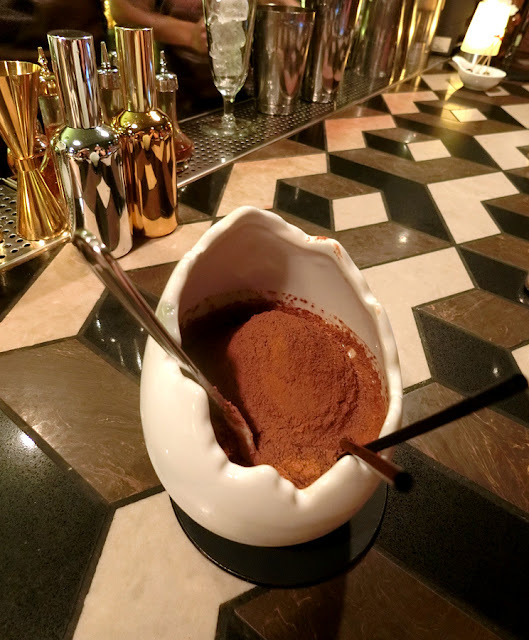 It can be a dessert to your meal too - tad bit sweet for me but it's interesting that a bar in HK uses Milo to craft their cocktail. One thing for sure, I would definitely return to this place for drinks even though they are not in any specific list. I like the ambience, the music is subtle and people are able to hold conversations without yelling. 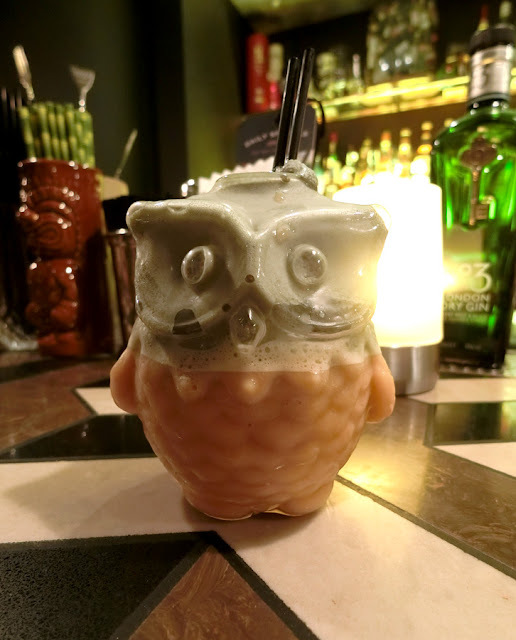 Also, the drinks are crafted to your likings so if you're still not happy with it they are more than willing to prepare something that suits you, without hesitation. Likes: Quietly tucked in a hotel bar, great place for conversation, very friendly bartenders. Great place for a drink with your date!